Take your students out of the classroom and into nature with nature journaling! Your students will love exploring the outdoors - even if it's just your school yard! Why should children nature journal? All of the reasons above! Plus it helps them to identify and appreciate flora and fauna in their environment, and improves their ability to observe, draw and write. 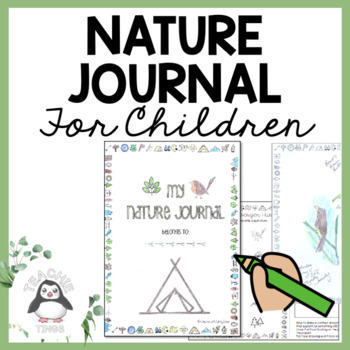 This nature journal for children includes 16 double pages pages of prompts - combine as many or few pages as you like.